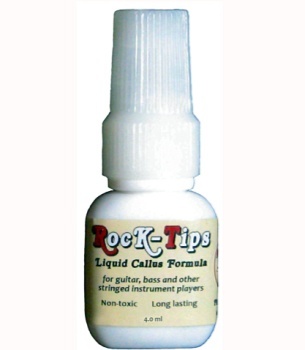 Long lasting and tough – a typical application of Rock-Tips will stay on your fingertips for 1-2 days of active playing, and a single 4 ml bottle contains over 150 applications – about 2 month’s worth if you use it every day. Completely transparent and unobtrusive – doesn’t impede the feeling of the strings on your fingers. Safe and easy to use – non-toxic, quick curing formula will wash off with soap and warm water.